Have the whole hill to yourself and a few hundred of your friends! Sunridge can be booked for the exclusive use by your company or group on any Saturday or Sunday evening throughout the winter. You can book both the ski hill and the snowtubing park or just the ski hill. For more information or to make your booking, just email us at info@sunridgeskiarea.com or call us at 780-449-6555. Skiing from 6 pm. To 9 pm. The lifts and rental shop open at 6pm for your guests. 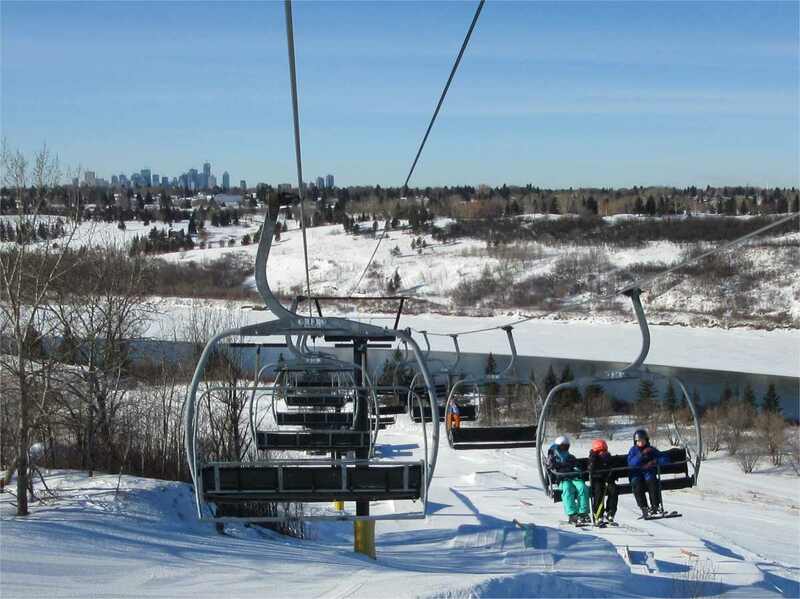 Rental of our triple chairlift, quad chairlift, the Bunny Hill with the two carpet lifts, and the Porcupine Lift. These lifts service 12 runs. The Big Terrain Park (expert features with jumps and rails and boxes) is not included but can be rented for an additional $300.00 plus GST. Rental of the ski fleet and boots, snowboards and boots, and helmets. Although we have over 1,000 pieces of equipment, our experience has shown that select sizes may start to run low after about 300 guests. Staffing of lifts, ski patrol, and rental shop technicians. Two ski instructors and 2 snowboard instructors for 1 hour of informal lessons on the Bunny Hill. Our full service concession is open from 6pm to 9pm during your event. The tubing park can also be rented at the same time as the ski area and includes exclusive use of our snow tubes, the tube lift (of course, so you don't have to walk up the hill) and three fast and fun chutes down one of our main hills. The tube park can accommodate up to 100 guests at a time. Approved snow-sport helmets (which include hockey helmets) are RECOMMENDED in the tubing park. You must be at least 48 inches (4 ft) tall. Children must be at least 7 years of age. Only Sunridge tubes can be used. Only 1 person per tube and per chute at a time. Tubes may not be removed from the tube area.